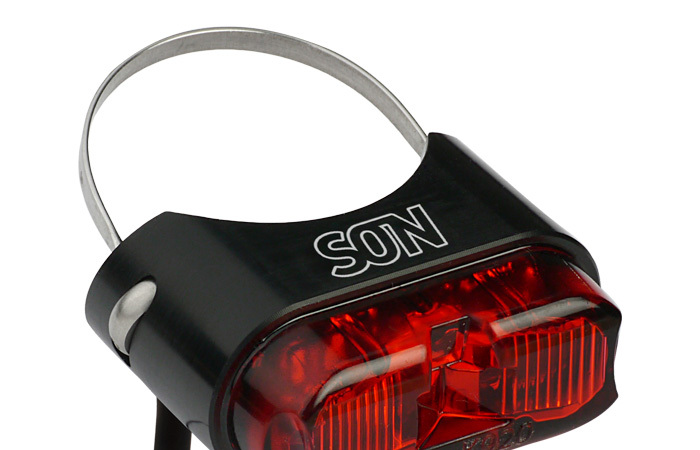 The SON rear light is of minimalistic and robust design as well as noble looks. 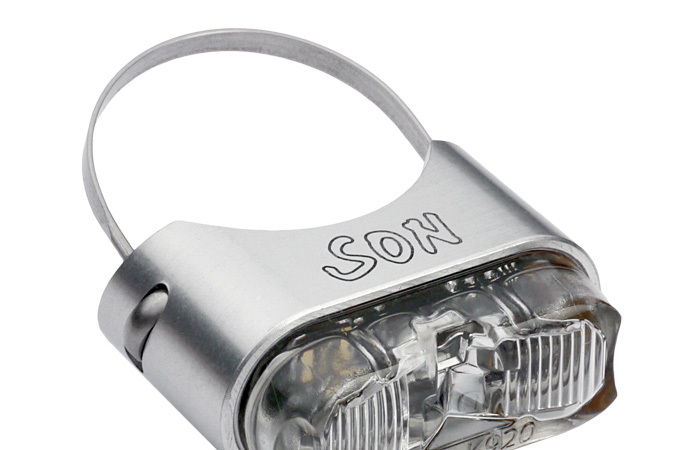 Many custormers have been looking for a rear light like this for a long time. 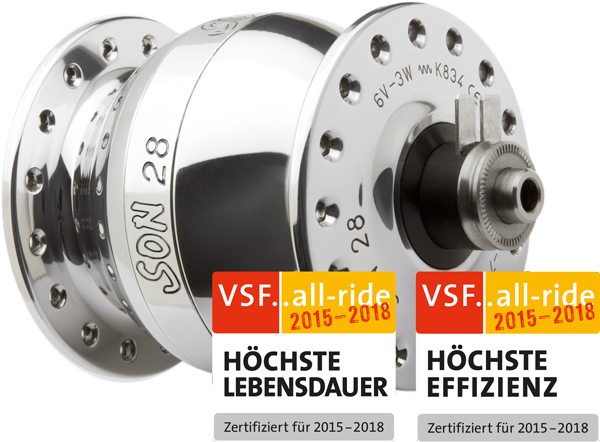 Now also sportive bicycles that don‘t come with rear racks can be equipped with dynamo-powered rear lights thanks to versions for seatpost mount and mudguard mount. They fit technically ideally and are of good looks just as well. The rear light has an anodized aluminium housing, electronics and optic parts are potted watertight. The coaxial cable for connection to the headlight is firmly fitted. With standlight.